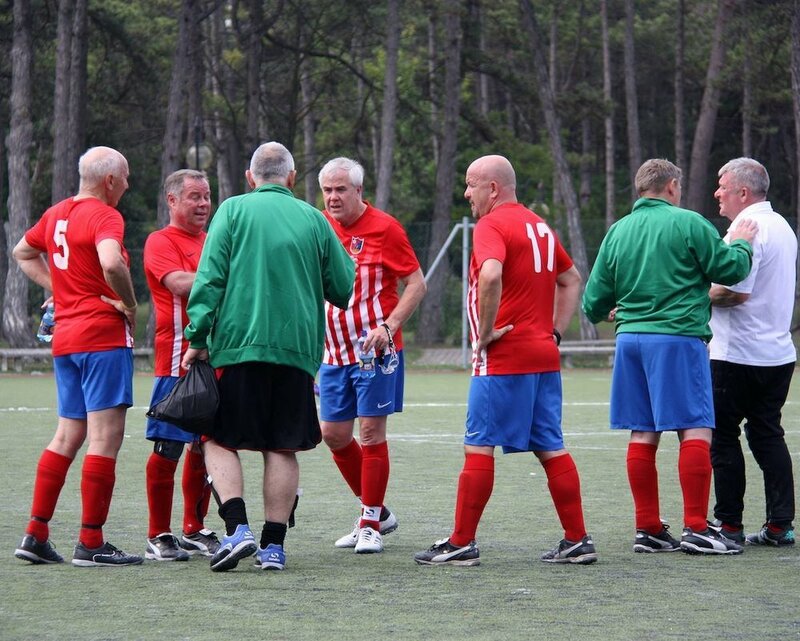 International Walking Football Tournaments in Europe for over 50s. Walking Football has been clinically proven to the improve the health of players alongside creating a unique social opportunity for over 50s. To read the full set of Tournament Rules, click here. The organisers have been involved in the growth and development of Walking Football in the UK since early 2014. Mick Quinn is a Member of The Society of Sports Therapists and has a BSc (Hons) Degree in Applied Sports Therapy. He has worked in professional football with Brentford FC, Wycombe Wanderers and Crawley Town. He set up his over 50s Walking Football club in Cove, Hampshire as a way of introducing late stage rehabilitation patients back into physical activity over 4 years ago. All the principles and foundations of the Club and its rules are built on peer reviewed medical research with measurable facts and evidence, and not solely on individual opinions. Tony Grace is a Chartered Accountant and graduate of the University of Glasgow and was until recently Chief Financial Officer of the UK's largest independent home delivery company. Prior to that he spent 20 years in telecoms as a senior executive in Virgin Media. Tony became involved in Walking Football in its early days and has been actively involved in a number of European tours. based in Farnborough, Hampshire were the stars of the original Barclays Digital Eagles TV advert. Many believe this is responsible for the rapid growth of the sport across the UK. The club boasts over 135 signed members and conducts 3 Walking Football sessions weekly. 4 nights accommodation based on twin room bungalows (Single occupancy and non-playing rates available). You can download a PDF overview of our Spain 2019 tour here. 4 nights’ accommodation based on twin rooms (Single occupancy and non-playing rates available). You can download a PDF overview of our Italy 2019 tour here. If you'd like to know more about one of our Walking Football tours or simply more information about the sport please don't hesitate to get in touch.